Jelena is an Art Therapist and Artist from Sydney, Australia. She is also an Intuitive Catalyst for Creative Transformation based on the Northern Beaches. Her work includes classes and workshops, visionary art, empowering sessions and handmade artisan wares. Jelena was inspired to become an Art Therapist when she came across an advertisement to study Art Therapy in 2002. 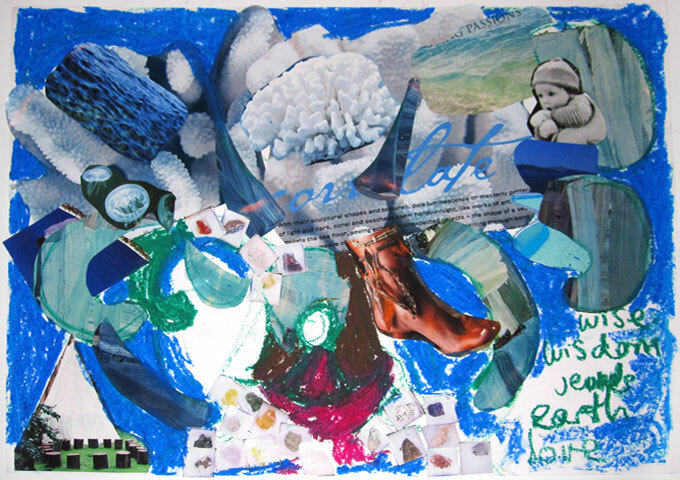 She ran workshops at Bear Cottage Children’s Hospice in Manly with Artists in Motion. The following year, she began to study a Transpersonal Art Therapy course at the College of Complementary Medicine in Sydney. Jelena graduated in 2009. The term transpersonal encompasses a holistic type of counselling that incorporates an individual’s psychological and spiritual life. It also looks to examine and explore their human potential. Transpersonal Art Therapy covers the spectrum of human experience including mind, body, spirit and environment. It is not about eliminating symptoms, but accessing positive human potential as well. Some of Jelena’s most successful techniques, tools and activities she uses with clients include the medicine wheel as a navigation tool; clay work to assist with grounding, journaling as a tool for self exploration and archetypes. It is about tapping into her clients and see how open, safe and ready they are to explore their imagination and emotions. The #DrawDisability by Global Observatory for Inclusion contest is open!